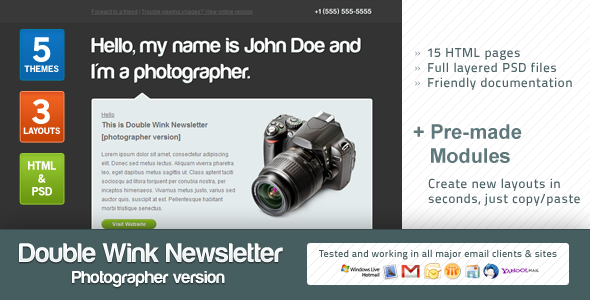 Double Wink Newsletter (Photographer Version) is clean and professional newsletter solution, while you can customize it to fit your needs, this version targets web/graphic designers and photographers who want stunning and professional newsletter to display their news, latest projects and promote their work (galleries, portfolios). It comes in 5 background colors and 3 layouts each (total 15 HTML pages with embedded CSS), and 2 full templates PSD files (layered and sliced): first one contains layout 1 and all 5 background versions, second one contains layouts 2 & 3 and all 5 background versions. Also it comes with 2 modular pages so you can easily build any layout you wish by copy and paste the code with additional step by step instructions how to customize it. 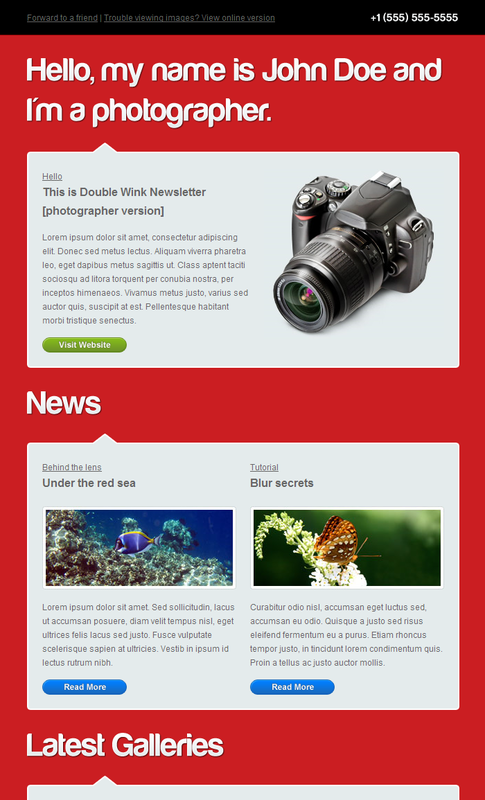 User friendly documentation guides you through updating the Photoshop file, and sending the newsletter (HTML customization covered in the modular pages). Compatible with all major email clients and sites, Tested in Microsoft Outlook (2000, 2002, 2003, 2007, 2010 Beta), Apple Mail (3, 4), Lotus Notes8, Thunderbird (2, 3), Windows Mail, Windows Live Mail, Yahoo Mail, Hotmail, Gmail, Postbox, Entourage 2008 and AOL Mail. Compatible with all browsers, HTML pages rendered perfectly In Internet Explorer ( 5.5, 6, 7, 8 ), Firefox, Google Chrome, Opera and Safari. 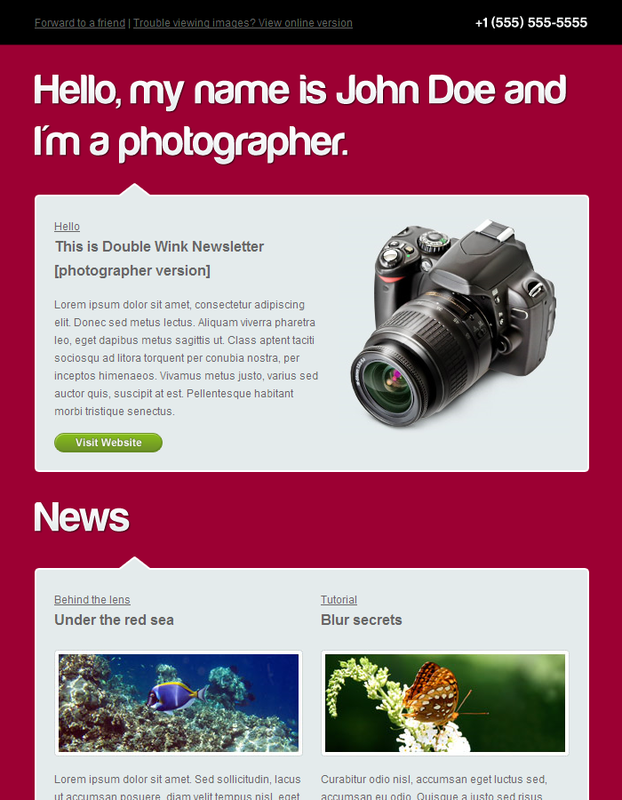 If you like this newsletter you may also like the multi-usage version.